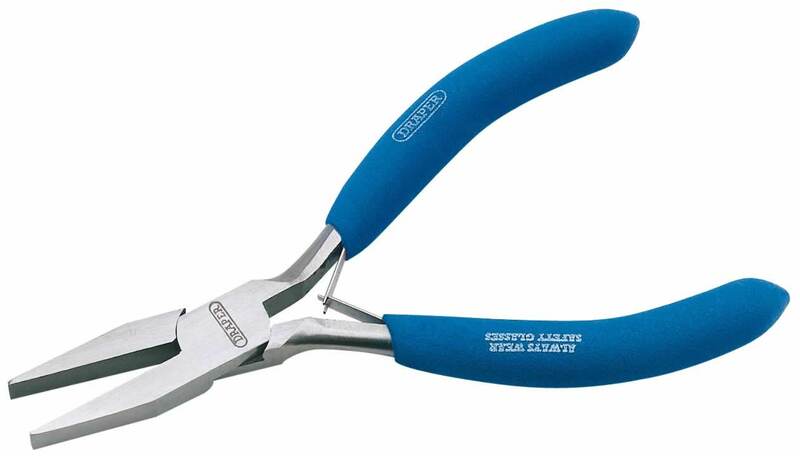 Carbon steel, hardened and tempered with textured grips, captive double leaf springs and smooth jaws. Ideal for the electronics trade. Display packed.